It has been 80 years since white chocolate was introduced to join milk and dark chocolate on our shelves. Now, after years of research and development, a unique processing technique combines with the unique Ruby Cocoa Bean to naturally unlock delicious new flavour and colour tones and present this extraordinary new innovative chocolate. Ruby chocolate brings you berry-fruit flavour notes in a smooth lusciously-creamy chocolate. It is truly a delight to the senses. The Chocolate Garden of Ireland is delighted to be the first Artisan Chocolatier in Ireland to offer this stunning chocolate. Of the introduction, managing director, Jim Healy comments “It’s just super to have a brand new, tasty and so naturally pretty chocolate to bring to the market. We see huge opportunities for Ruby chocolate and are very excited about developing new products, and new flavour and texture combinations”. 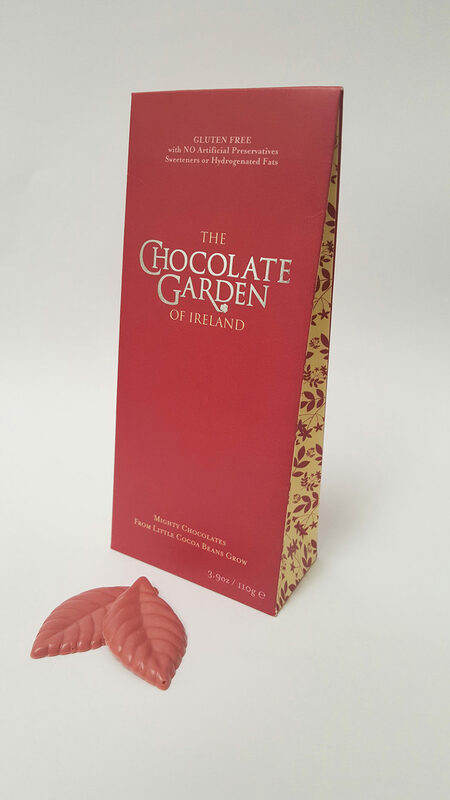 The Chocolate Garden of Ireland has won numerous awards for their chocolates and ice cream products and are in business since 2001. 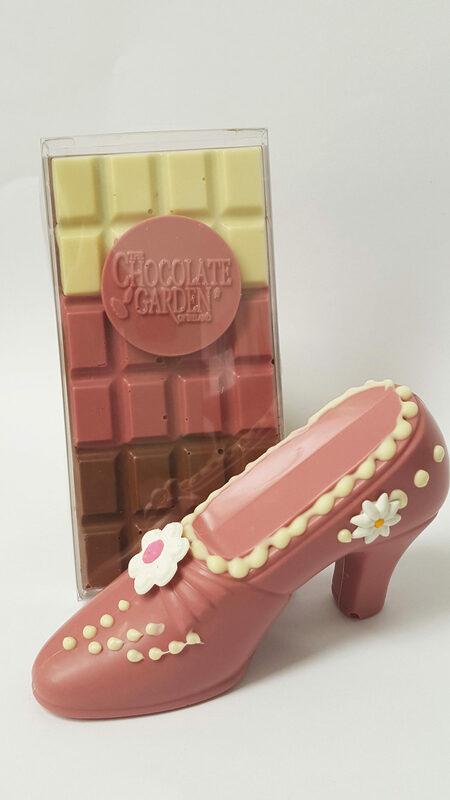 Since 2009, they operate a chocolate visitor experience at their premises near Tullow, Co. Carlow, where you can come and make your own chocolate products (www.chocolategarden.ie). The business is also currently launching a new ‘Fire and Ice’ chocolate bar, themed around Game of Thrones, and combining chilli and mint flavours with dark and white chocolate. Ruby gets its name from the dusty-pink colour that is naturally occurring and derives from the fermentation process of this particular variety of cocoa beans. Fermentation develops the colour and aroma of the cocoa beans prior to sun-drying, cleaning, roasting and processing into chocolate. Our ruby chocolate has 48 per cent cocoa solids and 27 per cent milk solids and is very premium. 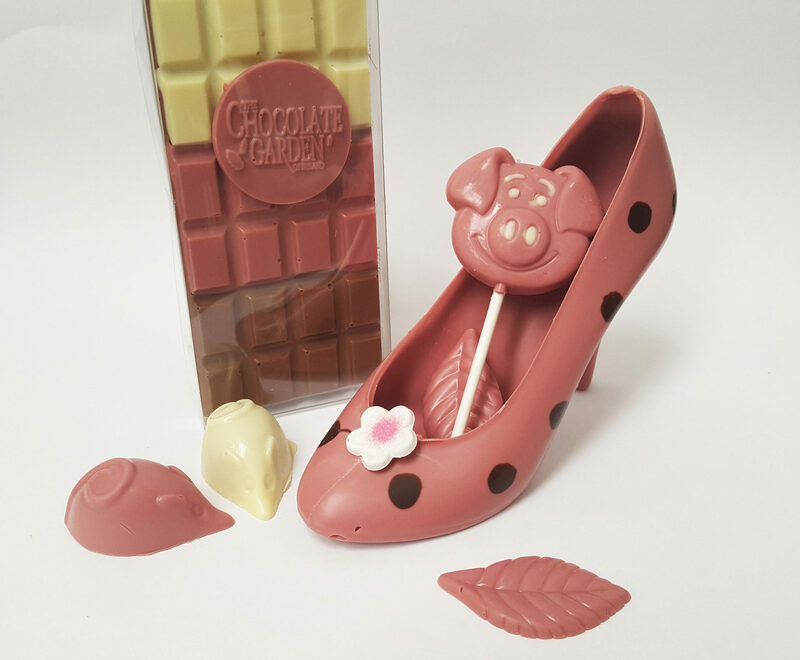 Initially, The Chocolate Garden of Ireland is launching three products made with ruby, a 100g chocolate bar, a pouch of chocolate leaves and a chocolate stiletto, however, plans are afoot to explore flavour pairings that work well with ruby and will launch filled chocolates and more variety down the line.